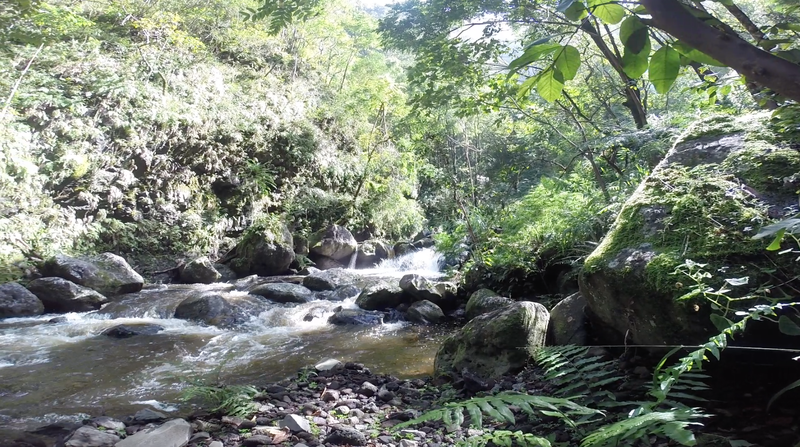 I recently went on a hike into Waipi’o Valley. 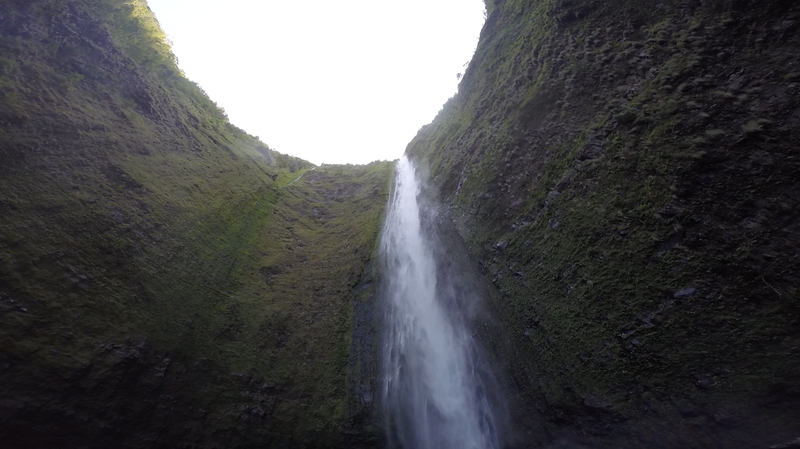 I’ve explored throughout the valley and been to the beach many times, but this was my first time hiking back to the Hi’ilawe Waterfall. There was a large group of us for this hike, probably about 10 of us total. We drove into the valley, had a quick bite to eat of the lunches we packed, and headed to the first river crossing to start our trek. The second we started across, half of the group darted ahead as if it was The Amazing Race. I was a little startled, but increased my speed in hopes to keep up with the rest of the group. I kept on the path, one foot in front of the other, dirt to stone and back again. At one point when I finally looked up, not only did I notice that there was only one person left with me, but that I was completely enveloped in a lush, tropical rainforest and hadn’t taken one second to take it in. At this point, my hiking partner and I both took a water break, and decided that we needed to slow things down. I was angry at the others for running ahead and not staying with us, but I was angrier with myself for trying to keep up and ignoring my own internal alarms telling me to slow it down. We continued along the path at our own pace. We watched our footing, paid careful attention to the property around us, and most importantly, enjoyed our surroundings. If you’ve ever done a hike like this, you know how important it is to not only be careful, but to make sure you savor the moment. 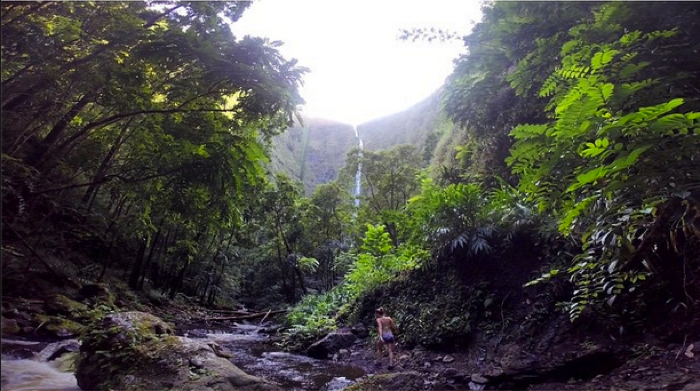 For many, chasing waterfalls through the Hawaiian jungle is not something you do everyday. I crossed rivers, climbed rocks, and eventually found myself at the foot of a 1,450 foot waterfall completely awe struck. And cold. But mostly awe struck. Sure, I took my time, and I got there just the same as the rest of the group. (Just a little bit later.) But I did it in a way that made me feel comfortable, safe, and exhilarated. And when you think about it, so did they. In the beginning I was frustrated and didn’t understand why they just couldn’t wait for the rest of us. But me asking them to go at my pace was no fairer than them asking me to go theirs. Looking back, this reminded me that doing anything with 10 people probably isn’t going to be easy. And you definitely aren’t going to want to do things the same way as everyone else. Whether it’s a hike or just life in general, go at your own pace and stay the course. You’ll get there eventually. 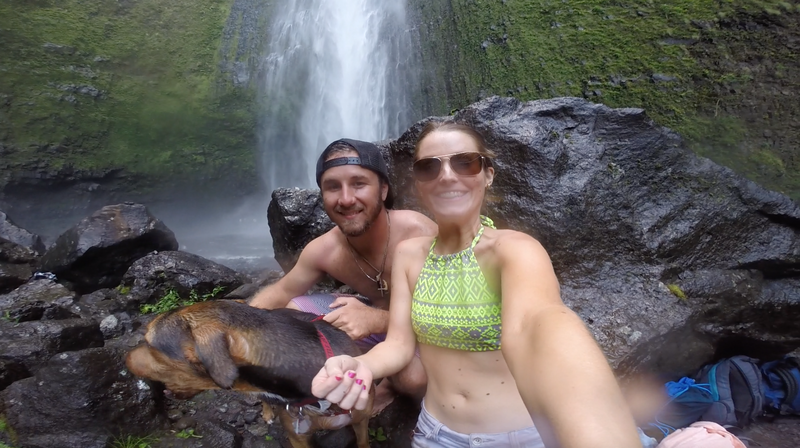 I just discovered your blog through Instagram 🙂 I am loving my new life in HI and will be visiting Waipio Valley in a couple weeks. Thanks for the reminder to slow down…and to take it all in. That’s a good reminder in all things! Happy New a Year!